1. Is it Energy Efficient? 2. Will it withstand harsh treatment? 240 volts is not always something you will have on tap, especially if you love free camping. 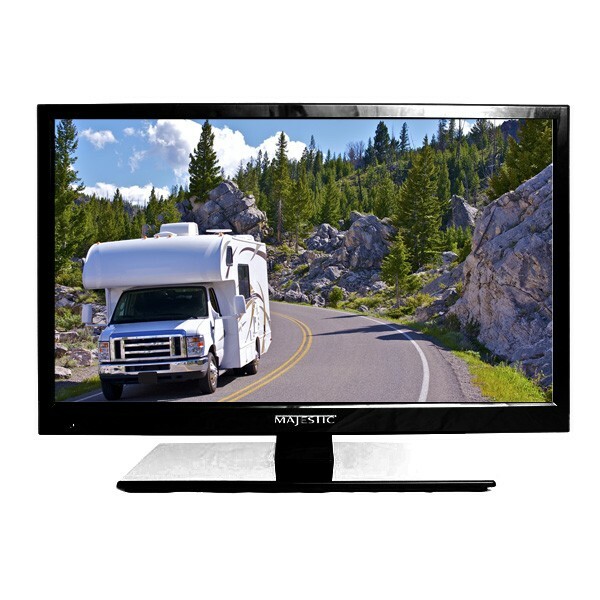 So ideally, a TV for your caravan or motorhome should run on both, and of course be energy efficient. Whilst you can run a 240v TV via an inverter you have to bear in mind that the process of converting 240 volts into 12 volts actually uses more energy in the conversion process, for this reason alone a TV that is designed to run on a dedicated 12 volt supply would be more efficient. The other thing to take into consideration is the fact that a TV in a Motorhome or Caravan is going to be subjected to some pretty harsh treatment. 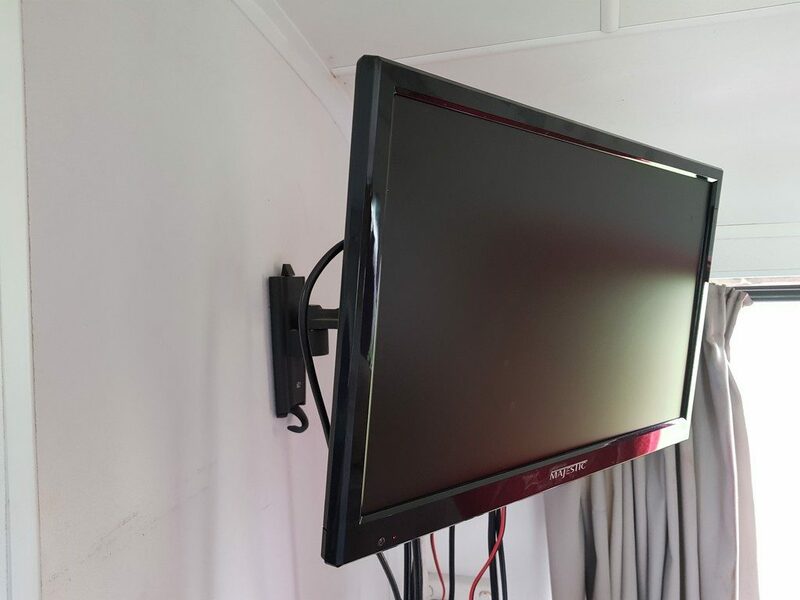 Caravans in particular tend to bounce around quite a bit whilst being towed, so a home TV not built specifically for this environment may not last you the test of time. On the other hand, a TV that is built and designed especially for the Marine & RV environment will have been built to handle this type of treatment. That is why we have chosen Majestic in our motorhome. Before building Honky we researched many TV’s on the market and decided on Majestic for a few reasons. Predominately because they were built specifically for the harsh marine & RV environments. Majestic were established in Australia in 2000 and have been designing and developing their own brands since then to suit our environment. They claim their products will survive and perform better than any domestic branded products when subjected to the tough marine or harsh outback environment and they stand behind this with a FREE 3 year warranty. Majestic have now expanded internationally but still develop their brands here in Australia. They are developed by working closely with local boat manufacturers, and aim to ensure that every model is an improvement on the previous one. With one of their latest features being the fact they are the first 12 volt TV with the ability to mirror everything on your phone or tablet to the big screen. 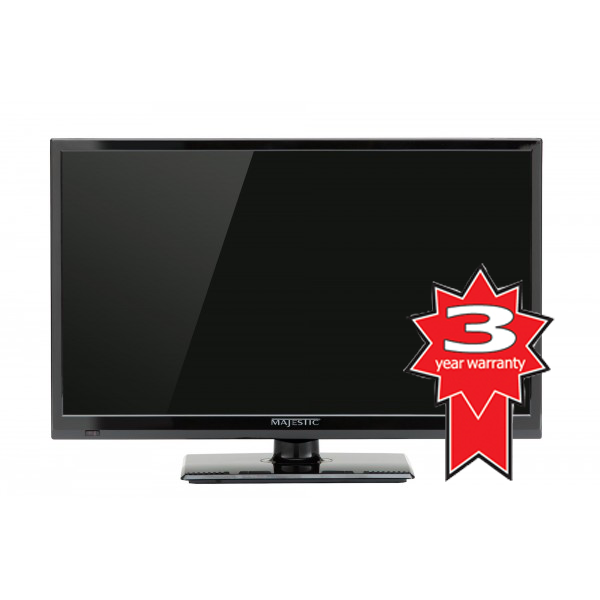 So we are now proud to become distributors of the Majestic Range of TV/DVD Combos. There are several size units to choose from, and also a great range of brackets, once again, specifically designed for your RV. We have made all the products available in the FRC Shop, and once again, we are happy to pass on some great savings to our Premium Club Members.